... Everyone makes space-ship noises when playing X-Wing, right? It's not just me? Well, whether you make the noises or not (yes, I know that in space there wouldn't be any noises, but still), there's some new ships available to bulk up your squadron... if you're a Scum & Villainy player, anyway. The Guns for Hire set is now available. Pirates, bounty hunters, crime lords, junk dealers, Black Sun assassins, con artists, and mercenaries of all varieties—these are the galaxy's Scum and Villainy. But if you're willing to pay, these Scum will take on any job. They'll be ruthless. They won't ask questions. And they're ready whenever you need them. 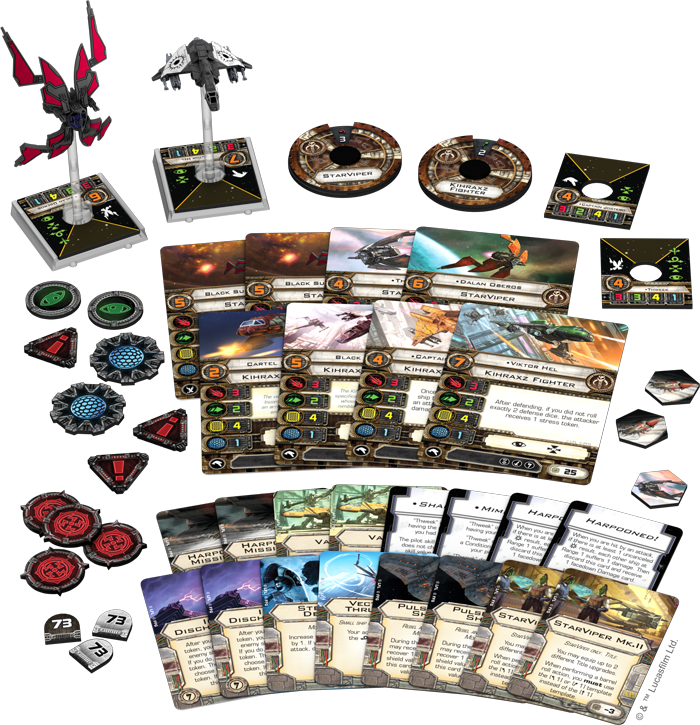 The Guns for Hire Expansion Pack for X-Wing™ is now available!